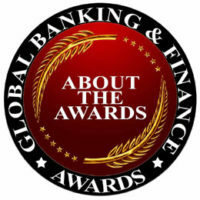 A look at the Global Banking & Finance Review awards. This section explains the entire Awards Program. Inviting Banks, Companies, Financial Organizations & Business Leaders to participate in the Global Banking & Finance Review Awards 2019. If you would like to nominate a particular company for one of our Awards (which may include your own company), please, in the first instance, complete our online nomination form by clicking here. A look at the press releases done by the previous award winners and by Global Banking and Finance Review from 2011 to 2013. This section will give you the list past winners in various categories like Banking, Foreign Exchange, Leadership, Insurance, Hedge Funds, Pension Funds, Asset & Wealth Management, Islamic Finance & Other relative areas. View the Photo Gallery of the Global Banking & Finance Review Awards presented during 2018 – 2011. List of Global Banking & Finance Review Award winners for the year 2018. This section has the list of winners from various categories covering Banking, Foreign Exchange, Leadership, Insurance, Hedge Funds, Pension Funds, Asset & Wealth Management, Islamic Finance, Exchange Traded Funds, Project Finance, Binary Options, Real Estate, Technology & Other relative areas. List of Global Banking & Finance Review Award winners for the year 2017. This section has the list of winners from various categories covering Banking, Foreign Exchange, Leadership, Insurance, Hedge Funds, Pension Funds, Asset & Wealth Management, Islamic Finance, Exchange Traded Funds, Project Finance, Binary Options, Real Estate, Technology & Other relative areas. List of Global Banking & Finance Review Award winners for the year 2016. This section has the list of winners from various categories covering Banking, Foreign Exchange, Leadership, Insurance, Hedge Funds, Pension Funds, Asset & Wealth Management, Islamic Finance, Exchange Traded Funds, Project Finance, Binary Options, Real Estate, Technology & Other relative areas. List of Global Banking & Finance Review Award winners for the year 2015. This section has the list of winners from various categories covering Banking, Foreign Exchange, Leadership, Insurance, Hedge Funds, Pension Funds, Asset & Wealth Management, Islamic Finance, Exchange Traded Funds, Project Finance, Binary Options, Real Estate, Technology & Other relative areas. List of Global Banking & Finance Review Award winners for the year 2014. This section has the list of winners from various categories covering Banking, Foreign Exchange, Leadership, Insurance, Hedge Funds, Pension Funds, Asset & Wealth Management, Islamic Finance, Exchange Traded Funds, Project Finance, Binary Options, Real Estate, Technology & Other relative areas. List of Global Banking & Finance Review Award winners for the year 2013. This section has the list of winners from various categories covering Banking, Foreign Exchange, Leadership, Insurance, Hedge Funds, Pension Funds, Asset & Wealth Management, Islamic Finance, Exchange Traded Funds, Project Finance, Binary Options, Real Estate, Technology & Other relative areas. In this section you will find Testimonials received from various industry leaders. A detailed look into the profile and readership of Global Banking & Finance Review.